Own fatctory, own design and R&D department. Own marketing team. Competitive are the quality & price of our excellent products. 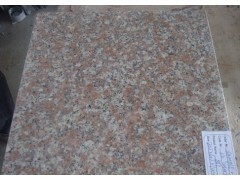 imported/dometic granite, imported/dometic marble, slab, sculpture, table/bench, stone bridge, stone pavillion, flower pot, fountainball, pillar, column, tombstone, countertop, vanity. Top, mosaic, composite panel. Polished, honed, flamed, rough picked, bush-hammered, sandblasted, engraving, chiseled, inlay craft and embossment craft etc. CAD drawing for confirmation, color choice, processing, carving, packing, arrange shipment, after-sales service. Automatic polishing machine, Infrared Middle Blocks Cutting Machine, Auto polishing machine, Abnormal stone process machine etc. Pack with foamed plastic, then in fumigated wooden crates, reinforced with metal straps outside. Delivery Date about 10-35 days after deposit. Payment terms 30% T/T deposit in advance then balance 70% should be paid by T/T against B/L copy by fax or email.